Now I’m sure this adorable little habit lasted a lot longer than I remember, probably because brain cells were dying at such a rapid rate between lack of sleep and breastfeeding. On one such glorious night, my husband took a turn with the baby and I could hear him pacing the hall and singing ‘Amazing Grace’ over and over and over again. The next night, my princess and I sat and rocked and walked and rocked and walked some more. I couldn’t think of one single lullaby. One single melodic or mesmerizing song to sing. All I could think was how nice it had sounded to hear my husband singing ‘Amazing Grace‘ so I started singing hymns. I sang every hymn I could think of. Even if it was only one line. I knew however that only one line of a hymn wouldn’t help for 3 hours of baby calming. After going through the hymns I knew and monitoring the baby’s responses to the music (I probably missed or squeaked some notes, it was late, and I’m no professional), I finally settled on one that was familiar – ‘Abide With Me’. ‘Abide With Me’ was not only familiar it was an amazing comfort. “Help to the helpless, O Abide with me.” I was pretty helpless, pacing the hallway, waiting for my little noodle to fall asleep. I used to count my footsteps – how may steps it took to get her to sleep. I was indeed helpless. That hymn quickly became my go-to bed time song. And amazingly, the familiarity of the song itself could calm a screaming baby – and a helpless mother who didn’t know what else to do. At some point my daughter became this amazing sleeper, and I sang ‘Abide With Me’ to her less and less. Then my son was born. I should have have known from the third time he kicked off his swaddle in under two minutes that I was in for a struggle. But I’m a slow learner. I should have bought a pedometer when that one was a baby. I walked. And paced. And bounced. And walked more. And I sang. ‘Abide With Me’ – the song of my mama’s heart. With every step down the longest hallways in the world, ‘Abide With Me’ became my heart cry. God don’t leave me. I can’t do this. I don’t even know what I’m doing. Why won’t this baby sleep? I thought I was a good mom. But then I could do something about this. And I can’t. Don’t leave me. Singing that song for my son, my daughter heard. And as usual I didn’t realize what I was doing. I just thought I was making it through each day the best that I knew how. Which was also totally true. One night at family worship, my daughter was requesting her usual musical favorites – Zaccheus, This Little Light of Mine, The Butterfly Song. Only on that night, she requested a new song. She asked for “Mama’s Song”. I wracked my brain. What song did she want? Did she learn something new at preschool? Finally my husband suggested singing ‘Abide With Me’ for her. I told him I was sure that’s not what she meant, but when she heard him say those words, she knew he had caught on to what she was wanting. And we sang ‘Abide With Me’ as a family. For the first time, it wasn’t my lullaby, or my heart’s cry. 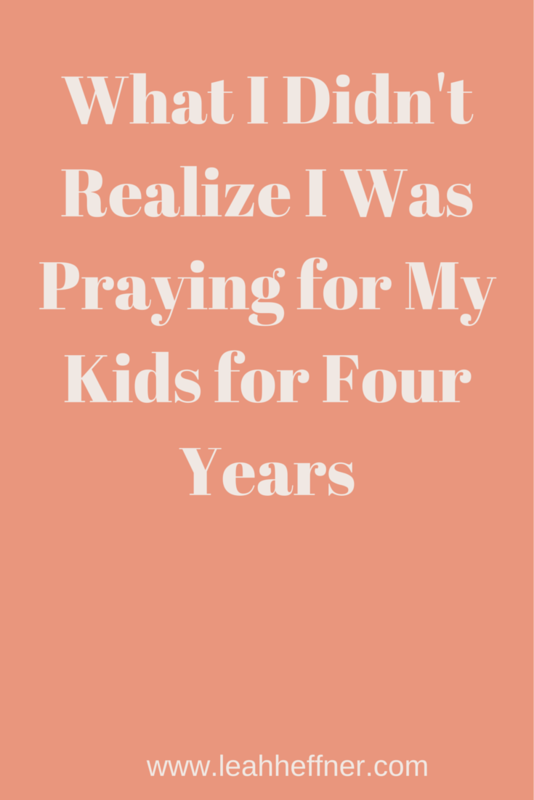 It was teaching my children that God is with them and that we can always cry out to Him and ask Him for more of what we need. My son is almost two. As he still isn’t always the best sleeper – although thankfully it’s now the exception and not the rule – I still pull out the old stand by to sing or hum. Or when my daughter asks me to lay with her while she falls asleep, I hum it to her. A couple weeks back I looked over at my husband after singing ‘Abide With Me’ at family worship. I told him that I didn’t always think I was doing enough praying with or for the kids, but that after singing this song and the kids singing it with me, I realized that I have been praying over them for almost 4 years without even realizing it. I was teaching them impressive truths about God. I was teaching them to call out to God and I had been inviting Him along with us through a lot of our life with them. This is a celebration for me of something amazing I’ve learned recently. And it’s encouragement for you, friend, because you may be just doing what you need to to survive each individual day. And that may be an incredibly powerful testimony to the people who are watching you constantly, even without you realizing. Mamas, you are winning. You are winning in ways you may not even realize for months or years to come. But sometimes those are the sweetest wins of all. What are some of your mama wins, big or small, that you’d you to celebrate? Would you share them below? My daughter had jaundice when she was a few days old. She had to stay under the lights for 3 days and 2 nights. At night time she would become so restless and start crying for the warmth of someone’s arms. It was so hard to see her longing for snuggles but knowing not giving it to her and leaving her under the lights was best. I would stay up those nights and sing “Amazing Grace” and “Jesus, There’s just something about that name.” Those two songs became her lullabies. Now that she is almost four she needs them less and less. But one night she had awoken with what she calls a “night dream” (nightmare) and she said mommy please sing that Jesus song. She had learned that there is power in His name. She knew that when she was afraid call on His name for comfort. At that moment i thanked God for using me to teach her to call upon Him when we are in need. Most of the time I would sing that song just longing for this sweet, big brown eye girl to fall asleep, but that night I sang it as a prayer of thanksgiving.